U.S. District Judge Amos Mazzant on Thursday dismissed the case “with prejudice,” making a final judgment on the charges that had been brought by the U.S. Securities and Exchange Commission. Mazzant first threw out the charges last year but gave the SEC the opportunity to file amended allegations — which it did in October, keeping the case alive. In its amended allegations, the SEC had sought to bolster its argument that Paxton had a legal duty to disclose to the investors that he was making a commission. Mazzant said Thursday the SEC had still not been persuasive enough. See here, here, and here for the background. After the charges were dismissed the first time, I was skeptical of the second effort, but you never know what might happen. So much for that. 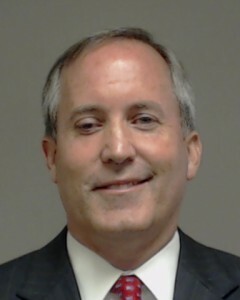 This is a win for Paxton, but the big game begins May 1, in Collin County or somewhere else. That’s what will really matter. The Press has more. UPDATE: RG Ratcliffe’s overview of the Paxton saga is well worth your time. Mark your calendars, and stock up on the popcorn. The trial will unfold in the heat of the legislative session, which began Tuesday and ends on May 29, and as campaigns get underway for the 2018 elections. Paxton plans to seek another term. I think you know the background on this one. I’m not one for making predictions, but I will make one here: If Paxton gets convicted, he will not lose the support of any current statewide incumbent. They will rally around him, they will blame everyone but him for the outcome, and they will endorse him next March when and if he draws a primary opponent. I fully expect that he will be on the ballot next November. What happens if he wins re-election and loses his appeals, and has to serve time in jail? I guess we’ll find out. The DMN, the Chron, and the Lone Star Project have more. Texas Attorney General Ken Paxton on Friday asked a federal judge to once again dismiss a U.S. Securities and Exchange Commission complaint accusing him of defrauding investors in private business deals in 2011. U.S. District Judge Amos Mazzant III dismissed the SEC’s original complaint on Oct. 7, saying it contained allegations that weren’t supported by federal securities law. The SEC responded two weeks later with a revised complaintthat added details to the allegations that Paxton committed fraud by soliciting investors in Servergy Inc. without disclosing that the tech company was paying him to hawk its stock. Paxton lawyer Matthew Martens said the new complaint still falls short. “As the court said four weeks ago, the SEC’s original complaint had no legal basis. Our motion to dismiss filed today explains why the SEC’s new complaint fares no better. The reason is simple — Mr. Paxton did not commit securities fraud,” Martens said. Paxton’s lawyers told Mazzant that the SEC’s revised complaint failed, again, to show that Paxton had a legal duty to tell potential investors about his sales commission deal with Servergy. “The commission to date has been unable to cite a single example where a court has recognized such a disclosure duty,” they told the judge. See here and here for the background, and here for a copy of the Paxton motion. I’m not a lawyer, but I have a hard time imagining what the SEC could have added that they didn’t include in the first place that might make a difference. But what do I know? We’ll see what the judge says this time. The DMN and the Chron have more. The U.S. Securities and Exchange Commission is not giving up on its case against Attorney General Ken Paxton. The commission filed amended civil charges against Paxton on Friday, two weeks after a federal judge dismissed the case. Paxton, who is also fighting similar criminal charges at the state level, is accused of misleading investors in a company years ago. Earlier this month, U.S. District Judge Amos L. Mazzant III threw out the SEC case against Paxton but gave the commission 14 days — until Friday — to file amended allegations. The amended allegations also amplify the SEC’s argument that Paxton did not simply fail to disclose but “actively concealed” his commission agreement from the investor group. He did so, the SEC says, by not mentioning it in filings with the Texas Ethics Commission and the IRS, ignoring efforts by the group to learn about his relationship with Servergy and mischaracterizing the compensation as a kind of gift when asked about it by the SEC. See here for the background. I have no idea if this is a necessary technical correction to allow otherwise-viable charges to go forward, or if it’s a “what the heck, we may as well give it one last try” situation. Paxton still has the criminal charges to deal with, so if nothing else this is a distraction from that. Trail Blazers has more. A judge has thrown out the federal civil case accusing Attorney General Ken Paxton of securities fraud, giving him his biggest legal victory yet since the allegations surfaced more than a year ago. U.S. District Judge Amos L. Mazzant III on Friday granted Paxton’s motion to dismiss the lawsuit but gave the U.S. Securities and Exchange Commission 14 days to amend its allegations against the attorney general. Paxton is still fighting similar criminal charges at the state level. Paxton is accused of misleading investors in a company from before he took office as Texas’ top lawyer. One of the central allegations is that he persuaded a group of people to invest in the company, a technology startup known as Severgy, without disclosing that he was receiving a commission. Rather, Mazzant concluded, the case is about whether Paxton had a legal obligation to make a disclosure, and he did not — at least according to the facts put forward by the SEC. See here for the background. No question, this is a big win for Paxton. I’m not qualified to say whether this result tells us anything about how the state case may go, but the bottom line is that the state case is now the only thing he has to worry about. The Chron and the Press have more. He may well get those SEC charges dismissed. Lawyers for the U.S. Securities and Exchange Commission received skeptical treatment Friday from a federal judge who is considering whether to dismiss the civil fraud case against Attorney General Ken Paxton. From the outset, U.S. District Judge Amos L. Mazzant III noted that the SEC’s case against Paxton was unlike those he usually sees from the commission. Mazzant came across as less than persuaded by one of its central arguments. At one point, Mazzant suggested the SEC was trying to fit a “square peg into a round hole,” basing its case on precedents that do not back up their arguments. The judge did not rule immediately at the end of the 90-minute hearing inside a Sherman courtroom. He said he instead plans to issue a decision in 30 days. Largely at issue Friday was whether Paxton committed securities fraud by simply leaving out information in his dealing with investors, not necessarily making misleading statements. Paxton lawyer Matthew Martens argued that the attorney general’s actions did not amount to fraud, leaning heavily on the argument that every court that has previously looked at the issue has rejected the SEC’s argument. Meanwhile, SEC lawyer Matthew Gulde asked Mazzant to look more broadly at Paxton’s actions as a “pattern of conduct” in which he acted as a “secret broker” and had at least two duties to tell investors he was being compensated. They sparred less extensively over another charge in the case involving Paxton’s failure to register as a securities broker. Paxton’s side argued that his action did not meet any definition of the term, while SEC lawyers countered that they were downplaying how active of a role Paxton had in recruiting investors. “Mr. Paxton is not someone who’s walking into this blindly,” Gulde said. Mazzant often appeared more sympathetic to Paxton’s arguments, suggesting that Gulde was reaching to find case law to support the SEC’s case — at least with the current facts alleged. “I don’t know how we get there,” Mazzant said at one point. See here and here for the background. The state charges against Paxton are higher stakes, because the SEC case is a civil one, for which only a fine could be levied. Getting the charges tossed, if that is what happens, would still be a pretty big win for Paxton, as at the very least it lends credibility to his whole “I’m being persecuted” schtick. He needs his supporters to keep the faith, and his underwriters to keep those checks coming. He’s already beaten the Bar Association grievances, so this would give him two in a row. The third one is way bigger than the other two, though. We should know where he stands in a month. The Chron has more. That’s a slightly misleading headline, but you get the point. Lawyers for Texas Attorney General Ken Paxton will argue Friday morning in a Sherman courtroom that the federal civil fraud case against him should be dismissed, their latest effort to unwind the legal troubles that have dogged Paxton for more than a year. In the SEC case, Paxton’s lawyers have argued the allegations represent a “dramatic overreach and lack any basis in law.” The SEC lawsuit, they also say, does not claim he made any false or misleading statements to potential investors in Servergy, a technology startup at the center of both cases. “Mr. Paxton should not be left to labor under a cloud of suspicion while enduring years of costly discovery to refute claims that are meritless on their face,” Paxton’s lawyers wrote in their June motion to dismiss the SEC lawsuit. They will get the chance to press that argument at 9 a.m. Friday in federal district court in Sherman before U.S. District Judge Amos Mazzant III. Paxton’s team is being led by Matthew Martens, a former top lawyer for the SEC. James Spindler, a law professor at the University of Texas at Austin, said he would not be surprised if the court dismisses at least some of the charges before trial. He said SEC lawyers “have their work cut out for them” in specifically proving the charges of fraud, which he called “factually dense inquiries” in the context of a case like this one. See here for the background. Let’s wait and see what the government’s case is before we make any guesses about his odds of success. In the meantime, this also happened. The state’s highest criminal court Wednesday morning dismissed all three appeals filed on Texas Attorney General Ken Paxton’s behalf, saying his lawyers neglected to include everything needed on the petitions. The Court of Criminal Appeals gave Paxton 10 days to add what was missing — a copy of the concurring opinion from the Dallas-based 5th Court of Appeals, which in June rejected Paxton’s request to dismiss criminal charges related to private business deals from 2011 and 2012. Defense lawyers corrected the mistake a little more than two hours after the court issued the unsigned order, which was opposed by Judges Barbara Hervey and Michael Keasler. “We inadvertently left off attaching to our petition a copy of the concurring opinion from the court of appeals. We have cured the oversight and have refiled,” Paxton lawyer Philip Hilder said. The error isn’t expected to significantly delay the handling of Paxton’s appeal. A trial on the SEC’s accusations has been tentatively set for Sept. 11, 2017, and is expected to last about two weeks. Lawyers have said a trial on Paxton’s criminal charges, if upheld by the Court of Criminal Appeals, could take place in the spring of 2017. An oops, but not a big deal. The schedule information at the end of the story is more interesting. If Paxton isn’t successful in getting charges against him dropped, next year is going to be very busy for him. Judge Mazzant is not expected to rule today, so it will be awhile before we know this part of Paxton’s fate. Attorney General Ken Paxton, facing charges he duped investors in a North Texas startup, is refusing to engage in settlement talks with the U.S Securities and Exchange Commission – and could be the last holdout in the case if it goes to trial. William Mapp, the founder and CEO of the company for which Paxton is accused of illegally selling securities, is open to negotiating a legal settlement with the SEC, according to court records. Paxton, who indicated to the court this month he would refuse to negotiate, would be the lone defendant left to fight charges from the SEC should Mapp agree to a settlement. The parties are due in a Sherman federal district court Friday to give oral arguments on whether the SEC charges should be dismissed. Unless the case is dismissed or Mapp signs a settlement deal, Paxton and Mapp will be tried together, likely in the fall of 2017. Charges filed by the SEC in April also named former Servergy director Caleb White and Servergy. Both have settled with the SEC. White paid $66,000 he received in commissions and returned 20,000 shares of stock to the company. Servergy paid a $200,000 penalty. See here, here, and here for the background. Whatever the merits of the SEC case against him, Paxton cannot afford to settle this case. He’s bet everything on getting off the hook on the state charges, and settling with the SEC would send a very mixed signal to the vocal supporters who have been loudly insisting he’s being railroaded. Politically, losing this case is a better outcome for him than a slap-on-the-wrist settlement, because it’s in keeping with the narrative of him being a fighter that’s being persecuted. The best outcome, of course, is for the charges to be dismissed. We’ll see how it goes. What else has he been lying about? Ken Paxton told federal investigators a tech CEO gave him $100,000 worth of stock five years ago, but he never disclosed the shares as either a gift or income, an issue ethics experts agreed could spell more trouble for the attorney general already facing state and federal fraud charges. According to federal fraud charges filed against Paxton last month, the embattled first-term Republican AG told investigators from the U.S. Securities and Exchange Commission that in 2011 he was given 100,000 shares of stock in the North Texas tech startup Servergy by the firm’s then-CEO Bill Mapp. While Paxton said he intended to invest in the company and pay for the shares, Mapp allegedly wouldn’t accept, telling him during a meeting at a McKinney Dairy Queen that “God doesn’t want me to take your money,” according to the SEC charges. “Consequently, Paxton claims, he later accepted the shares as a gift,” the charges added. Yet Paxton, who was a state representative at the time, never disclosed the stock as a gift on annual personal financial statements elected officials are required to file with the state. Federal investigators doubt the shares were given as a gift, instead alleging Mapp handed over the stock to Paxton as a “sales commission” for convincing other people to invest in his company. State law says elected officials who receive a gift worth more than $250 must disclose it on the “gifts” section of their annual personal financial statements. On his 2011 statement, Paxton for the first time disclosed that he held 10,000 or more shares in Servergy. He did not also list the shares in the “gifts” section. Several ethics experts said if an elected official receives stock as a gift, they must disclose the shares in both the “gifts” and “stock” sections on the personal financial statement. The gift section, unlike the stock section, requires the official to divulge the name of the donor. The only exceptions to this disclosure rule, according to state law, are for gifts that come from a relative by blood or marriage within two degrees, political contributions or lobbyist expenditures. Paxton did not list the stock under the “gifts” section of his personal financial statement that year or in any year since. See here and here for some background. This, again, is why Paxton is writing legally meaningless threat letters to Target about bathrooms. It’s all to keep his core supporters focused on the things they like, and not on these unpleasant little allegations about Paxton’s utter lack of moral character. A scoundrel’s gotta do what a scoundrel’s gotta do. The Texas Ethics Commission can fine someone who breaks disclosure laws $5,000 or three times the amount at issue. Criminal charges for perjury or making false statements would also be possible, said former assistant attorney general Fred Lewis. Failing to file a personal financial statement correctly in accordance with state law is a Class B misdemeanor. Progress Texas? Texans for Public Justice? This is your cue. The short answer is, he’s gonna lose. Texas Attorney General Ken Paxton may have some history on his side, but as of this week the numbers appear to be against him. Paxton, who is trying to become the latest in a long line of Texas officials to beat prominent allegations, unwittingly entered treacherous waters Monday when the federal Securities and Exchange Commission announced it had sued him for allegedly committing securities fraud, the same charge he is facing in a state district court. Over the past two years, the SEC has won 95.9 percent of the cases not related to insider trading that it has taken to a federal courtroom, according to a new study from Stanford University’s Rock Center for Corporate Governance. “If we were in Vegas making book, the odds would be that the attorney general is going to lose,” said Joseph Grundfest, a senior faculty member at the center and a former SEC commissioner. Part of the reason for those odds is that the SEC does not make formal accusations until giving defendants a chance to argue in writing and in person why a case should not be filed – a process Paxton almost certainly exhausted before the commission moved forward, experts said. The attorney general’s challenge is heightened by the fact that two of his co-defendants already have agreed to large financial settlements. Although it has taken place more quietly, the SEC investigation has been going on for at least [as] long [as the state criminal investigation]. Its existence first was reported by the Associated Press in early last July. Paul Coggins, a former federal prosecutor who now leads the white-collar criminal defense practice for the Dallas-based Locke Lord law firm, said the SEC process dictates that the agency long ago had to notify Paxton of its intent to file a lawsuit and offer him an opportunity to submit a brief and to argue in person that nothing should be filed. The federal complaint filed Monday quotes Paxton defending himself, statements that may have been taken from a brief or from testimony. During the SEC’s investigative process, two of Paxton’s co-defendants agreed to settle their cases by paying a combined $266,000, according to the federal government. Those settlements, by Servergy and former firm official Caleb White, were signed in mid-March, court records show. White, who was accused of the same crime as Paxton but received one-fifth of the shares in the company, paid the SEC $66,000, suggesting Paxton could be on the hook for at least that much. That could be a problem for Paxton, who already is spending heavily on a five-person defense team and faces legal barriers to raising money through donations. In cases that were not settled, a 2015 analysis by the Wall Street Journal found, the SEC won 69 percent of cases litigated in federal courts from October 2010 through March 2015. Grundfest, the Stanford professor, said the SEC’s win rate has improved recently. He also pointed out that the newspaper’s analysis included insider trading cases, which are much harder for the commission to win. In insider trading cases, the agency loses about half the time. In cases unrelated to insider trading, the SEC almost always wins, the professor said. One way or another, this is not going to end well for Ken Paxton. If he deserved any sympathy, I’d feel it for him, but he doesn’t. Texas Attorney General Ken Paxton has been charged in federal court with allegedly misleading investors in a technology company. The U.S. Securities and Exchange Commission filed the charges Monday in a Sherman-based court. They are similar to the allegations Paxton faces in a pending indictment handed up by a Collin County grand jury last year. Paxton is named in the SEC’s complaint along with William Mapp, the founder and former CEO of Servergy Inc. Paxton is accused of raising hundreds of thousands of dollars for Servergy without disclosing he was making a commission. The case stems from when Paxton was a member of the Texas House — before he was elected attorney general in 2014. “People recruiting investors have a legal obligation to disclose any compensation they are receiving to promote a stock, and we allege that Paxton and White concealed the compensation they were receiving for touting Servergy’s product,” Shamoil T. Shipchandler, director of the SEC’s Fort Worth regional office, said in a news release on the complaint. Among the people Paxton recruited were his friends, business associates, law firm clients, and members of an investment group to which he belonged. Despite a duty to do so, Paxton knowingly or recklessly failed to inform the individuals he recruited that he was being compensated to promote Servergy to investors. Basically, this is saying that Paxton lied to his friends, colleagues (including Rep. Byron Cook), clients, and coworkers by exhorting them to invest in Servergy without telling them that he would get a kickback if they did. What a guy, right? We are very early in this story and there is sure to be much more to come, so stay tuned. One thing we can say, though, is that Paxton’s fellow Republicans really don’t want to talk about him. Top leaders including Gov. Greg Abbott and Lt. Gov. Dan Patrick have been mostly silent on the issue, giving Paxton the benefit of the doubt and allowing the legal battle to play out with the AG still in power. What’s more, the people who were instrumental in his election don’t care about the charges against him. They support him because his conservative credentials are in line with the grassroots activists that now dominate the GOP. In the past, donors like Bob Perry, Fred Meyer and Louis Beecherl had tremendous influence because their money could make or break candidates for public office. Today, grassroots candidates who aim to shake up the establishment don’t need money from old-line political donors. They are boosted by folks like Midland oilman Tim Dunn and the billionaire Wilks brothers out of Cisco. So candidates like Paxton have not only support at the ballot box from activists, but also a fundraising base to hold potential opponents at bay. Fine by me. I’ll say again, I hope he’s on the ballot in 2018 as a convict. It would sum up the state of the state’s Republican party perfectly. Trail Blazers, TPM, the Lone Star Project, the Current, Newsdesk, PDiddie, and the Press have more. The former CEO of the technology firm tied to Texas Attorney General Ken Paxton’s securities fraud indictment told investigators he paid the then-lawmaker to provide information on how to market his product to government agencies, according to a new brief in the case. The disclosure, filed Wednesday by the special prosecutors appointed to the case, also raises questions about the former CEO’s credibility, noting he gave different accounts of Paxton’s involvement with his firm to the Texas Rangers and the U.S. Securities and Exchange Commission during a federal fraud probe. State and federal laws require prosecutors to disclose evidence that may be beneficial to a defendant in what is called a “Brady notice,” named for a Supreme Court ruling – Brady v. Maryland – that says criminal suspects are entitled to exculpatory information uncovered by prosecutors. Wednesday’s filing states that William Mapp, then CEO of the McKinney technology firm Servergy, told the SEC in 2014 that he had handed over $100,000 worth of stock in his company as a commission for Paxton to solicit new investors. At the time, the federal agency was investigating Servergy over allegations it defrauded investors. Mapp later told investigators with the Texas Rangers that Paxton refused the commission and accepted the stock “in exchange for Paxton being a political adviser to the company and for providing information about upcoming opportunities for Servergy to market their servers to government data centers,” the Brady disclosure states. The special prosecutors, Kent Schaffer and Brian Wice, declined comment on the filing Wednesday. “I can’t really say what the impact of the Brady Notice regarding Mr. Mapp is going to be, except to state the obvious – the prosecutors believed that the purported discrepancy in his positions was favorable to the defense or that it was a significant enough change that they were required to let us know, credibility wise,” Dan Cogdell, Paxton’s lead defense attorney wrote in an email Wednesday evening. “It is interesting to see that some of the State’s theories as to what happened or didn’t happen seem to be evolving fairly quickly over a short period of time,” he wrote. Nice to know that when defense attorneys get appointed as special prosecutors that they take Brady requirements seriously, isn’t it? As to the effect it may have on this case, who knows? It will likely make William Mapp’s credibility more of an issue now, but it still doesn’t exactly make Paxton look squeaky clean. We also don’t know what else the prosecutors may have up their sleeve. Wait and see what comes out at trial, that’s still the best strategy. The Statesman, the Press, and WFAA have more. So are we, Kenny. So are we. A Collin County grand jury is expected to weigh evidence brought by two temporary district attorneys assigned to the case. Paxton’s advisers are furiously preparing for a criminal indictment. The looming showdown has the camps bickering. Anthony Holm, a spokesman for Paxton, contends the AG should not face criminal prosecution. Holm also accused a local lawyer who provided information about Paxton to a previous grand jury of having a vendetta. As the story notes, Paxton admitted to breaking the law to avoid a campaign issue. In his mind, that means the matter was settled, even though it had not yet come to the attention of any prosecutor. Now as we know a complaint has been filed and a special prosecutor appointed with a grand jury waiting in the wings, but Team Paxton wants everyone to believe that it’s all ancient history. It doesn’t work like that, I’m afraid. At least, not for normal people. But prosecutors now say that at the least, there’s evidence that Paxton violated securities law by not registering with the securities board, a third-degree felony. And Schaffer has said he’ll ask for a first-degree felony indictment, though he won’t elaborate on the charge. The prosecutors could submit evidence of the securities law violation that Paxton admitted to as a slam dunk case. But at least one legal expert says few people are criminally prosecuted for such offenses. The state securities board did not refer the case for criminal prosecution. So the key question remains: What’s the evidence of a first-degree felony? I assure you, we are all on pins and needles waiting to find out. One hopes that these two career defense attorneys will not pursue excessive charges on flimsy evidence – you know, the sort of thing they are critical of other prosecutors for – so we’ll see what goods they have. That Paxton is in legal trouble can be attributed in part to the efforts of a watchdog group, and the determination of a local lawyer. The public integrity unit within the Travis County district attorney’s office said it lacked jurisdiction and forwarded information to Dallas and Collin counties for lack of jurisdiction. Dallas County District Attorney Susan Hawk didn’t touch the case either, saying she was not aware of any alleged crimes being committed in the county. That left Collin County, where Paxton’s friend and business partner, Greg Willis, is district attorney. After receiving a complaint from Texans for Public Justice, Willis stepped aside and said that “appropriate investigation agencies, including the Texas Rangers,” should handle the allegations against Paxton. Meanwhile, Dallas lawyer and blogger Ty Clevenger took the extraordinary step of sending information about Paxton to members of a Collin County grand jury, including three from the same church. He said he also dropped off information to a grand jury member’s home. He got their names from Collin County officials by asking; in Dallas, Hawk declined to release the grand jury’s names. The grand jury that will hear the Paxton evidence from the special prosecutors is not the same as the one Clevenger sought out. One should always be a little wary of crusaders, no matter how enticing their claims are, but again, one hopes that the evidence will back up whatever comes out. There’s been a lot of trash talk from Team Paxton, which is either bravado or whistling past the graveyard. That grand jury is now in, and it’s put up or shut up time. The Observer suggests what may be coming. William Mapp, the disgraced founder of Servergy, Inc., was identified at the courthouse by WFAA reporter Tanya Eiserer. Servergy, based in McKinney, claimed to produce energy-efficient servers for corporate clients. The company made extraordinary claims about its core product, the Cleantech-1000, claiming it consumed “80% less power, cooling, and space in comparison to other servers currently available.” But there was a problem: The federal Securities and Exchange Commission (SEC) alleges that Servergy’s claims about its product were false. And the company, the SEC says, produced fraudulent pre-orders from tech companies like Amazon and Freescale to sell itself to investors. Servergy raised some $26 million from selling stock between 2009 and 2013, as detailed by information released by the SEC. And it profited from grants from the McKinney Economic Development Corporation (MEDC), a local fund that reinvests money collected by local sales taxes. Servergy continued to receive money from MEDC even after a formal SEC investigation began in 2013. Servergy is also connected to a wide variety of other improprieties and shady activities. Paxton was a prominent Servergy shareholder, owning at least 10,000 shares. But while other investors simply lost their shirts, Paxton’s role in the Servergy case has generated lingering interest from authorities. In 2014, Paxton’s name was included in a list of search terms used by the SEC to subpoena the company, along with several other prominent figures in McKinney. Mapp’s presence at the courthouse today suggests that Servergy’s case is connected to evidence special prosecutors are presenting against Paxton. That would be a significant escalation in the case against the state’s AG. A large part of the public defense laid out by Paxton’s spokesman Anthony Holm revolves around the assertion that Paxton’s original violation of securities law, regarding his legal clients, was a simple mistake and civil matter that he corrected when it was brought to his attention. The Servergy episode is a whole different kettle of fish, and while it remains to be seen what the prosecutors have against Paxton in connection to this particular episode, it should be a source of significant concern in the AG’s office. See here for the background. All I can say is “oh please, oh please, oh please”. We’ll see what happens.